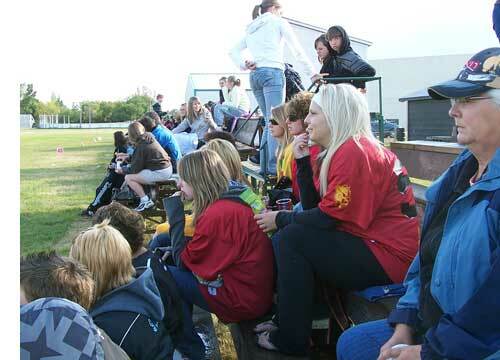 The parking lot around Brownridge Field was plugged solid this afternoon as Tisdale football fans were out to see the season's first game with the Tornados facing the Bears from Nipawin. 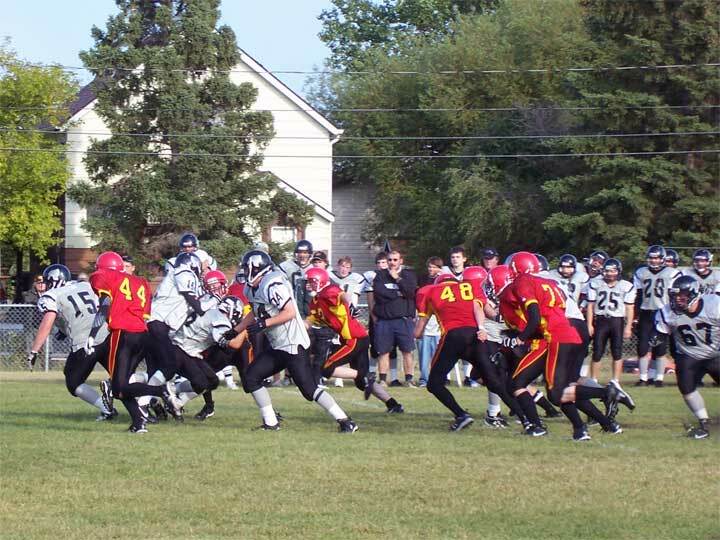 From the short while I watched the game it looked like it was going to be a long afternoon for the Tornados as the Bear's offence was playing extremely well completing passes and mixing up their plays with passes and running plays. 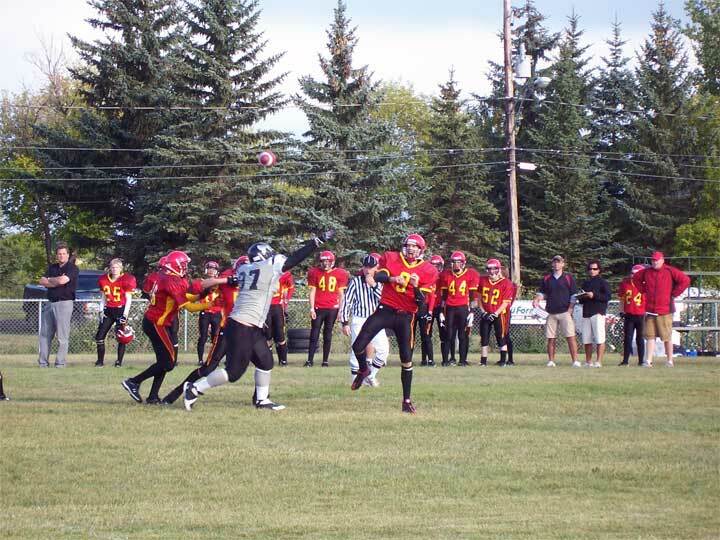 In the picture at the top of the page Nipawin's quarterback whistles a neat pass to his receiver and scored a touchdown.